With Nuru Pleasure you making it! Nuru Massage Gels DIY. Fast, Easy and cheap! Making your own massage gel with Nuru RAW! Many people regularly opt to use a certain massage gel. They can use the gel to give their partner a sensual massage, but the product can also be great for use during masturbation. Are you still looking for a suitable massage gel that will live up to all your expectations and which, additionally, you can make by yourself? In that case, choosing for the Nuru Pleasure powder may be an interesting choice. The Nuru Pleasure powder is made using water with a minimum temperature of 30 degrees. After you have mixed the Nuru Pleasure powder with water you need to have patience for about 15 minutes. Then, the massage gel is ready for use and to give you many moments of intense pleasure! When you opt to use the Nuru Pleasure powder you cannot just make one, but two different kinds of massage gel. First, we are going to mix 5 grams of the Nuru Pleasure powder with 500 ml of water. 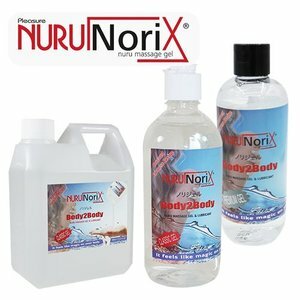 The combination creates the so-called Norix Classic Nuru massage gel. In case you choose to mix the same 5 gram amount with 250 ml of water, you will end up with a completely different massage gel. In that case, the Premium Nuru Gel is created. Would you like to change the structure of the massage gel further? In that case it is always possible to dilute the gel further by adding extra water. Making your own massage gel was never easier! By now, you know that it is possible to make your own quality massage gel using Nuru Pleasure powder, but how does this process work exactly? First off, you always need to have a glass bowl at your disposal. The bowl needs to have a capacity of 500 ml. If you have the package of 2.5 grams of powder, you fill the bowl with 250 ml of warm water. If you have bought the 5 grams package, then fill the bowl with a minimum of 250 ml and a maximum of 500 ml of warm water. 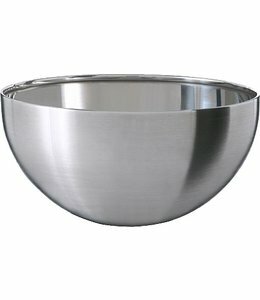 In the end, you will decide if you fill this bowl partly or completely. Your final choice in this matter is naturally dependent on the type of massage gel that you want to make. After yo have made your choice it is time to add the 5 grams of Nuru Pleasure powder to the water. Stir it gently using a wooden or plastic spoon. Usually, you need to stir for about 2 minutes. For the creation of a good massage gel, it is necessary to ensure that the Nuru Pleasure powder is efficiently spread around the entire warm water surface by stirring! Once more: add the powder fairly quickly and do not wait until the powder has turned into gel. Adding it right away will prevent lumps. After approximately two minutes of stirring, you will need to let the mixture rest for about 15 minutes. During this time, the Nuru Pleasure powder will do its job. Are you not sure what to do during these 15 minutes? How about taking a nice, warm shower? This way you will be in the mood right away! After the 15 minutes are over, it is time to start using the massage gel. Your homemade, Nuru Pleasure powder based massage gel will undoubtedly ensure that you will experience many beautiful, intense and exciting moments, by yourself or with your partner.